Bout the blush, since I have oily skin I don't prefer cream blushes but as the name goes matte mousse, this blush indeed is like a mousse that once settled looks more like a powder blush but for all those wid oily skin like me I personally would not recommend it, especially if you perspire a lot and have acne, freckles or any other marks on apple of ur cheeks coz this blush highlights them. Priced at INR 375/- I would say is a good buy for those with normal or dry skin. 05 did not stay on my skin for more than 2hrs, I dunno if I can call it a con or just blame my super oily skin for the poor staying power. All in all do try it out before you splurge. 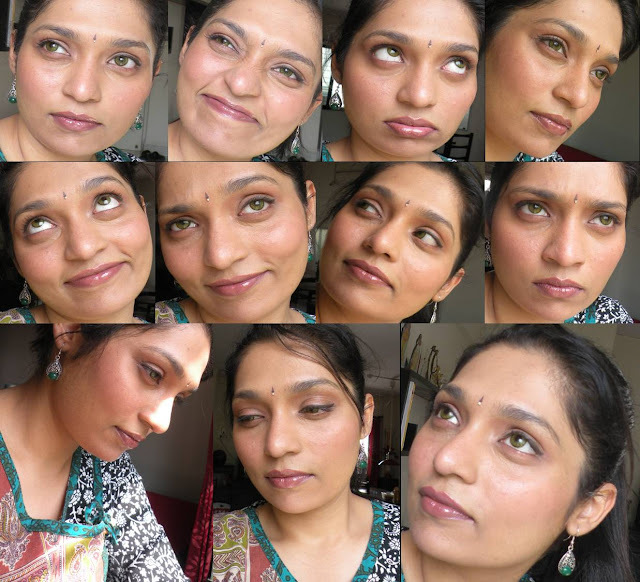 Different moods of Priyanka :) thanks for linking in ..you are a sweet heart and you look great !